For the fourth year in a row, the International Electronic Conference on Medicinal Chemistry will be organized and sponsored by the peer-reviewed journal Pharmaceuticals, which is edited by MDPI. The conference will be held online at www.sciforum.net/conference/ecmc-4 during the month of November 2018. The aim of the Conference is to gather researchers from all over the world and encourage discussions on any scientific field related to drug discovery and development. Posting presentations, videos, or posters disclosing your recent outstanding results enables you to take advantage of the conference to promote your work among thousands of your peers. Participation, as an author or a visitor, is ABSOLUTELY FREE; simply register on the home page. This year, as the conference sponsor, Pharmaceuticals will be giving an award for the Best Presentation as elected by the scientific committee, which consists of 500 Swiss Francs. We hope you will be able to join this exciting event and enjoy a stimulating exchange with your peers around the world. Also, we will launch a Special Issue covering the event. On behalf of our dynamic editorial staff and active scientific committee, we warmly invite you to join us during this fourth edition and we look forward to posting your contributions. Dr. Karsten Niefind is biochemist and apl. Professor at the Institute of Biochemistry of the University of Cologne. His research and teaching activities are dedicated to basic biochemistry and to the structure/function relationships of selected proteins, in particular involved in signal transduction and (plant) innate immune response or relevant for biotechnological applications. Gunars Duburs Professor, Dr.chem.habil, Full Member of the Latvian Academy of sciences. Principal scientist, Latvian Institute of Organic Synthesis, Laboratory of Membrane active compounds and beta-diketones. Areas of activities: organic chemistry, medicinal chemistry. Scientific interests: chemistry of heterocyclic compounds, azines, membrane active compounds. Discovered and elaborated novel drugs: radioprotector diethone for oncological clinics, antihypertensive and antianginal drug riodipine (foridone), as well antioxidant diludine as carotene stabiliser and stimulant of productivity of animals. Publications: 550 scientific articles, 475 thesis, 75 patents. My name is Le Thi Song. My scientific research began in the area of Electrochemical and Corrosion Protection during my undergraduate studies at Department of Chemistry at Hanoi University of Science and Technology, Vietnam in 2009. From 2010 to 2012, I worked as master researcher at Interfacial Engineering Lab, Chemical and Biochemical Engineering Department at Dongguk University, Seoul, South Korea. Then in 2013, I became a Ph.D researcher at Kochi University of Technology, Japan under supervision of professor Nagatoshi Nishiwaki and received my Ph.D in organic synthesis in 2015. Then, I worked as a visiting researcher at this university for 1 year. From 2016, I became a research collaborator at Ton Duc Thang University in Vietnam. My research interests comprise not only synthetic organic chemistry using nitro compounds, heterocycles (ring transformation, dinitropyridone, nitroanilines, nitropyridines …), but also superhyrophobic coating, silica thin film, electroplating, corrosion and so on. Foodborne Toxin Detection and Prevention Research Unit, Western Regional Research Center, US Department of Agriculture, Albany, California, USA. Jong H. Kim is a Research Scientist in the Foodborne Toxin Detection and Prevention Research Unit, Western Regional Research Center, US Department of Agriculture, Albany, California, USA. His research focuses on the development of intervention strategies for control of fungal pathogens including mycotoxigenic fungi. 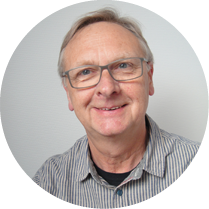 He provides chemo-biological expertise, particularly in the identification of cellular targets, mechanisms of action and compound interaction, and participates in resistance management in collaboration with industry and academia. Over the past decades, transition metal complexes have attracted considerable attention in medicinal inorganic chemistry, especially as synthetic metallonucleases and metal-based anticancer drugs that are able to bind to DNA under physiological conditions (Pessoa, J.C., et al. J. Inorg. Biochem. 2011, 105, 637-644). Copper(II) complexes offer various potential advantages as antimicrobial, antiviral, anti-inflammatory, antitumor agents, enzyme inhibitors, chemical nucleases, and they are also beneficial against several diseases like copper rheumatoid and gastric ulcers (Fricker, S.P., Dalton Trans. 2007, 43, 4903-4917). Substitution reactions of square-planar [CuCl2(en)] and square-pyramidal [CuCl2(terpy)] complexes (where en= 1,2-diaminoethane and terpy= 2,2’:6’,2’’- terpyridine) with bio-relevant nucleophiles have been investigated at pH 7.4 in the presence of 0.010 M NaCl. Mechanism of substitution was probed via mole-ratio, kinetic, mass spectroscopy and EPR studies. In the presence of an excess of chloride, the octahedral complex anion [CuCl4(en)]2- forms rapidly while equilibrium reaction was observed for [CuCl2(terpy)]. Different order of reactivity of selected bio-molecules toward Cu(II) complexes was observed. The nature of the buffer just affects the Cu(II) complexes conformational dynamics. According to EPR data L-Methionine forms a most stable complex with [CuCl2(en)] among the bio-ligands considered while [CuCl2(terpy)] complex is very stable and there are no significant changes in its square-pyramidal geometry in the presence of buffers or bio-ligands. The obtained results represent progress in investigation of the mechanism of substitution reactions between Cu(II) complexes and biological relevant nuclepohiles. Also, they provide very useful information for the future design of potential copper-based anticancer drugs (Selimović, E., et al. J. Coord. Chem. 2018, 71(7), 1003-1019). The tyrosine-protein kinase Src, also known as proto-oncogene c-Src or simply c-Src, is a non-receptor tyrosine kinase protein that has been shown to be involved in the regulation of important cellular processes including migration, survival and proliferation. In fact, Src activation has been associated with multiple cancers, such as colon, breast, pancreas, lung, or brain (Roskoski, R. Jr. Pharmacol. Res. 2015, 94, 9-25; Creedon, H., et al., Crit. Rev. Oncog. 2012, 17, 145-159). There are only few Src inhibitors in clinical development, therefore, there is an urgent need to identify new low molecular weight therapeutics able to inhibit Src and, thus, to modulate aberrant pathways leading to malignant transformation of cells (Lu, X.L., et al., Curr. Med. Chem. 2012, 19, 1821-1829). Heterocyclic compounds attracted a lot of attention because of their wide spread biological activities. Thus, we have previously reported the synthesis of biological active heterocyclic derivatives based on the reactivity of the amidine moiety of 2-amino-2-oxazolines 2 with bis-electrophiles (Massip, S., et al., Bioorg. Med. Chem. 2006, 14, 2697-2719). In a preliminary screening testing our heterocycles library, we have identified a “hit” (compound 1d) derived from various substituted 6-formyl-oxazolo[3,2-a]pyrimidines as a new Src kinase inhibitor (IC50 = 4 µM). These original oxazolo[3,2-a]pyrimidine derivatives 1a-k were synthesized through a Diels-Alder cycloaddition of alkylidene derivatives of 2-amino-2-oxazoline (compounds 3a-k) with acrolein, as an electron-poor dienophile, a reaction previously described by our group (Guillon, J., et al., Synlett 2002, 8, 1249-1252). Versatility given by this reaction allowed us to access a promising family of diversely substituted 6-formyl-oxazolo[3,2-a]pyrimidines with inhibitory effect on Src kinase. Acknowledgments: This work was supported by a grant from Ligue Contre le Cancer (Gironde, Bordeaux, France). Ocmium teniflorum (Local name: Tulsi, Family: Lamiaceae) is a plant well known for its medicinal uses in unani and ayuveda medicine. It is called the ‘queen of herbs’ for its antimicrobial, antiinflammatory, hypotensive, hypoglycemic antipyretic and analgesic activities. Azadirachta indica (Local name: Neem, Family: Meliaceae) is a medicinal plant best known for its antimicrobial, antiinflammatory, anticancer and antiviral activities. It is a fact that the individual exudates of each plant attract a specific species of microbes and induce them to produce possible novel compounds under the influence of the plant environment. With this idea in mind, we investigated the antimicrobial activity of endophytic actinomycetes inhabiting tulsi and neem plants. The preliminary screening was done using agar plug method and it displayed 12 isolates with prominent bioactivity. Further biological screening of their active metabolites showed that the compounds were most active against Salmonella enteritidis, Campylobacter jejuni and Proteus mirabilis. The thin layer chromatography (TLC) and high performance liquid chromatography-UV (HPLC-UV) displayed UV absorbing polar and non polar compounds. Our study reveals tulsi and neem plant microenvironment as an unexplored niche harboring endophytes that are prominently bioactive against multidrug resistant (MDR) poultry and human pathogens. Among the chemical world of flavonoids, prenylated derivatives have been attracting the attention because of the myriad of their biological activities, with chalcones being widely reported for their antitumor activity against a variety of tumor cell lines . In fact, it has been demonstrated that isoprenylation of flavonoids significantly increased their growth inhibitory effect on human tumor cell lines . A series of prenylchalcones was synthesized and evaluated for the ability to inhibit the MDM2-p53 interaction using a yeast-based assay . The capacity of all synthesized prenylchalcones and their non-prenylated precursors to inhibit the growth of human colon tumor HCT116 cells was evaluated and compared . The overall results led to the identification of a hit compound, which behaved as potential inhibitor of the MDM2-p53 interaction in yeast, and showed improved cytotoxicity against human tumor cells expressing wild-type p53. In HCT116 cancer cells, it was also shown that the growth inhibitory effect of this prenylchalcone was associated with the induction of cell cycle arrest, and apoptosis. S. Venturelli et al. Nutrition, 2016, 32(11-12), 1171-1178. M.P. Neves et al. Chem. Biodivers., 2012, 9, 1133-1143. P. Brandão et al. Eur J Med Chem, 2018, 156, 711-721. This research was partially supported by the Strategic Funding UID/Multi/04423/2013 and UID/MULTI/04378/2013 through national funds provided by FCT and ERDF, in the framework of the programme PT2020, the projects POCI-01-0145-FEDER-028736, PTDC/MAR-BIO/4694/2014 (reference POCI-01-0145-FEDER-016790; Project 3599–PPCDT), PTDC/AAGTEC/0739/2014 (reference POCI-01-0145-FEDER-016793; Project 9471–PPCDT), and PTDC/DTPFTO/1981/2014 (reference POCl-01-0145-FEDER-016581), as well as by the project INNOVMAR - Innovation and Sustainability in the Management and Exploitation of Marine Resources (reference NORTE-01-0145-FEDER-000035, within Research Line NOVELMAR), supported by North Portugal Regional Operational Programme (NORTE 2020), under the PORTUGAL 2020 Partnership Agreement, through the European Regional Development Fund (ERDF). Oxime ethers have attracted much interest as important precursors and intermediates for the preparation of a wide variety of drugs and natural products. They can be easily converted into important functional groups such as amino alcohols and hydroxy ketones. Therefore, the development of methodologies for the preparation of oxime ethers is of considerable interest. Various researchers have studied the interesting biological properties of oxime ether derivatives such as anticonvulsant, anti-inflammatory, antineoplastic, anti-enteroviral, antimicrobial, antitumor, and anti-Helicobacter pylori activities . Since clinical use of almost all anticancer drugs has been limited by the toxicity to normal tissues, important goal of cancer chemotherapy is to amplify the selective inhibition of tumor cells while decreasing toxicity to normal tissues. In order to develop more efficient and selective antitumor agents, here we report the efficient synthesis of 17-substituted O-alkylated androstane derivatives, and investigate their antiproliferative activity (IC50 after 72 h, MTT test) against three tumor cell lines (MDA-MB-231, HeLa and HT-29) and one healthy cell line (MRC-5). In continuation of our work on nitrogen containing androstane derivatives [2-4], synthesis of respective novel compounds and their evaluation in a human carcinoma cell lines will be presented and discussed. This work was financialy supported by Ministry of Education, Science and Technological development of the Republic of Serbia (Project No. 172021). K. Sharma, S. B. Mishra, A. K. Mishra, Helv. Chim. Acta 94 (2011), 2256. J. Ajduković, E. Djurendić, E. Petri, O. Klisurić, A. Ćelić, M. Sakač, D. Jakimov, K. Penov Gaši, Bioorg. Med. Chem. 21 (2013), 7257. E. Djurendić, J. Ajduković, M. Sakač, J. Csanádi, V. Kojić, G. Bogdanović, K. Penov Gaši, Eur. J. Med. Chem. 54 (2012), 784. J. J. Ajduković, K. M. Penov Gaši, D. S. Jakimov, O. R. Klisuric, S. S. Jovanovic-Šanta, M. N. Sakac, L. D. Aleksic, E. A. Djurendic, Bioorg. Med. Chem. 23 (2015), 1557. This year, as a sponsor, Pharmaceuticals would like to award the best presentation as elected by the members of the scientific committee. The Award will consist of 500 Swiss Francs. We look forward to posting your contributions. Full PPT presentation must be submitted to ECMC-4. The quality of the presentation. If two or more students get the same score, further evaluation will be carried out. "Valentina Barcherini is a second-year PhD student at M.M.M. Santos’ team (Faculty of Pharmacy, University of Lisbon) and member of the Medicinal Chemistry group of the Research Institute for Medicines, iMed.ULisboa. Valentina’s doctoral research is centred on the development of novel small molecules that act as dual p53-MDM2/X protein-protein interactions inhibitors. 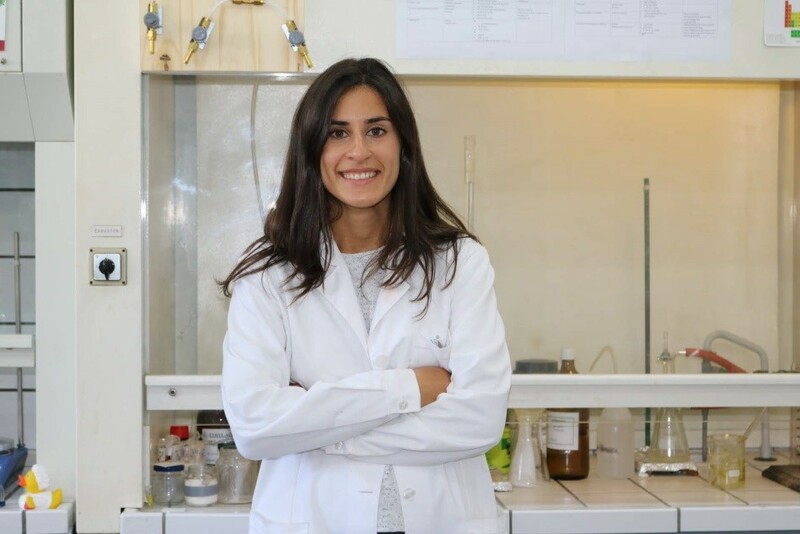 Valentina holds a master’s degree in Bioorganic Chemistry from the New University of Lisbon, Portugal. Previously, she graduated in Applied Chemistry in University of Padova (Italy)." The members of the scientific committee are pleased to announce the Call for Papers for the 4th International Electronic Conference on Medicinal Chemistry and to invite each researcher working in that exciting field of science to share his/her recent results with his/her colleagues around the world. Participation at the 4th International Electronic Conference on Medicinal Chemistry is absolutely free of charge for contributors and visitors. Researchers are invited to provide a short abstract on line at http://www.sciforum.net/login from now until October 25, 2018. Acceptance will be notified within a week after submission of the abstract. Then the author(s) will be asked to present their work (in English) in the form of a slide show (or a video) using the template provided by the conference (see Instructions for Authors). Posters, realized following the template provided online, will also be considered. All accepted submissions will be displayed online, at www.sciforum.net/conference/ecmc-4, on November 1-30, 2018. Authors of the most outstanding contributions, as selected by the Scientific Committee, will be invited to publish their work as a research article free of charge or at a discounted price, in a Special Issue of the journal Pharmaceuticals. The Scientific Committee looks forward to receiving contributions in response to this call and will be glad to provide any further information to interested parties. Questions may be addressed to the chairman via e-mail at [email protected] or to the Pharmaceuticals editorial office at [email protected]. Researchers interested in attending the conference must submit, on this website and not later than 25 October 2018, an abstract of the work they intend to present. After the abstract is accepted by the Scientific Committee (1-5 days after receipt of the abstract), the authors will be invited to prepare a full description of their work preferably under the form of a PowerPoint presentation, and to upload it before 30 October 2018 to ensure final check. The presentations will be accessible on http://www.sciforum.net/conference/ecmc-4 during the time of the conference. Authors are encouraged to prepare a presentation using the template provided by the Conference. Slides will be displayed directly in the website using Sciforum.net's proprietary slides viewer. They can be prepared in exactly the same way as for any traditional conference where research results can be presented. Slides should be converted to the PDF format before submission so that our process can easily and automatically convert them for online displaying. Slide 4 and following slides: should contain (in the given sequence) Introduction, Results and Discussion; Conclusions. Last slide: Acknowledgments and, not mandatory, logos of sponsors of the work. MDPI, the publisher of the Sciforum.net platform, is an open access publisher. We believe that authors should retain the copyright to their research works. Hence, by submitting a contribution to this conference, the authors retain the copyright of their contribution, but they grant MDPI AG the non-exclusive right to publish this contribution online on the Sciforum.net platform. This means the authors can easily submit their contribution to any scientific journal at a later stage and transfer the copyright to its publisher (if required by that publisher). Euriso-top Founded in January 1991 by a group of researchers from the Commissariat à l'Energie Atomique (CEA), Euriso-Top became a leading producer of deuterated solvents and stable isotope labelled compounds in Europe, thanks to an incomparable knowledge. With a large catalog of thousands of chemical compounds covering various fields of application (Proteomics and Genomic research, Biotechnology discovery, Organic synthesis, Pharmaceutical development, Manufacturing industry), Euriso-top, has been supplying for 25 years the scientific community with stable isotope labeled chemicals, isotopic gases, NMR solvents, isotopic metals, Clinical trials substrates. ELVESYS is an innovative self-funded company that started the commercialization of microfluidic instrumentation in 2011. ELVESYS aims to become a key research partner in the microfluidic field because we believe this domain will be the heart of next technological revolution. Doubling its turnover every 9 months, in just 4 years its ELVEFLOW brand has become the world leader of high performance microfluidic flow control. Rewarded by more than 10 entrepreneurial distinctions, ELVESYS launched two sisters companies in 2013 and 2014, respectively specialized in the biological environment control, the microfluidic device design and fast microchip prototyping. Precision NanoSystems (PNI) creates innovative solutions for the discovery, development and manufacture of novel nanoparticles for use as medicines and in medical research. PNI headquarters is located in Vancouver, Canada with scientist and sales support located globally and our instruments in over 20 countries. A leading Belgian company distributing laboratory instruments and furniture. As a distributor of laboratory instruments and lab furniture, Analis is primarily oriented towards research activities, biotechnology applications, chemistry, clinical chemistry and medical in vitro diagnostics and quality control. We are actively involved in the biotechnological and pharmaceutical sector (from basic research to production), as well as in the agro and food industry. Our mission is to provide researchers in proteomics, genetics and cellular analysis with appropriate professional instruments and support tools. Established in Namur in 1927, Analis employs more than 130 people in two locations: The head office is in Suarlée (NAMUR) in the south of Belgium and we have a branch office in Sint-Denijs-Westrem (GENT) in the north. Thanks to acquisitions, distribution activities and constant innovation, our company has grown and integrated new technologies. Analis covers all aspects of laboratory management: from laboratory project design to complete maintenance of customer’s installed equipment. We structured our organization in order to guide each (research) laboratory with the necessary expertise, application support, technologies and solutions in the following fields: Life Sciences;- In Vitro Diagnostics; Laboratory Equipment; Analytical Chemistry; Materials Testing; Metrology; Laboratory Furniture by ARDESTA. Our priority is to offer a high level of application and service support. Furthermore, by offering a full range of flexible automation systems, we help each laboratory to increase its lab productivity. Analis is certified ISO9001-2008, including conception, production, distribution and technical assistance. In the field of industrial applications for microwaves assisted green chemistry there are many microwave applications, chemical synthesis, extraction or other applications. The benefits of microwaves assisted green chemistry are, for the most part, improved quality of the final products like minimized thermal degradation due to the spreed of the process and spectacular reduction in process timing and footprint. Microwaves are used to heat a product quicker than conventional processes. We obtain a better quality product. MDPI (Multidisciplinary Digital Publishing Institute) is an academic open-access publisher with headquarters in Basel, Switzerland. Additional offices are located in Beijing and Wuhan (China), Barcelona (Spain) as well as in Belgrade (Serbia). MDPI publishes 179 diverse peer-reviewed, scientific, open access, electronic journals, including Molecules (launched in 1996; Impact Factor 2.861), the International Journal of Molecular Sciences (launched in 2000; Impact Factor 3.226), Sensors (launched in 2001; Impact Factor 2.677), Marine Drugs (launched in 2003; Impact Factor 3.503), Energies (launched in 2008; Impact Factor 2.262), the International Journal of Environmental Research and Public Health (launched in 2004; Impact Factor 2.101), Viruses (launched in 2009; Impact Factor 3.465), Remote Sensing (launched in 2009; Impact Factor 3.244), Toxins (launched in 2009; Impact Factor 3.030), Nutrients (launched in 2009; Impact Factor 3.550), and Pharmaceuticals (CiteScore 4.9). Our publishing activities are supported by more than 15,700 active scientists and academic editors on our journals' international editorial boards, including several Nobelists. More than 263,500 individual authors have already published with MDPI. MDPI.com receives more than 8.4 million monthly webpage views. Tropical Medicine and Infectious Disease (ISSN 2414-6366) is an international, scientific, open access journal of tropical medicine and infectious disease published quarterly online by MDPI. It is the official journal of The Australasian College of Tropical Medicine. Simulations Plus, Inc. (NASDAQ: SLP) is the premier developer of modeling & simulation solutions supporting drug discovery and development research and regulatory submissions. We partner with clients to provide a ‘strategic modeling methodology’, starting in early discovery, continuing through preclinical/clinical development, and concluding with clinical trials/post approval. With our subsidiary companies, Cognigen Corporation and DILIsym Services, we also offer #1-ranked, easy-to-use software (GastroPlus™, ADMET Predictor™, KIWI™, DILIsym®, NAFLDsym®, and PKPlus™) to bridge data mining, compound library screening with QSAR models, PBPK modeling & simulation in animals and humans following intravenous, oral/oral cavity, ocular, inhalation, dermal, and intramuscular administration, and quantitative systems pharmacology approaches. When difficult answers are hard to find, the end-to-end solutions from Simulations Plus can help. All the latest news, products, jobs, events and much more pertaining to chemistry, life science and analytics can be found on the CHEMIE.DE online portals. bionity.com is our life science flagship. It addresses readers who are interested in facts and trends from life science, biotechnology and pharma—and all this in four different languages! A total of around 700,000 page views per month confirm there is great interest in bionity.com and its information services. Pharmaceuticals (ISSN 1424-8247; CODEN: PHARH2) is an open access journal of medicinal chemistry and related drug sciences, published quarterly online by MDPI. Citations are available in PubMed, full-text archived in PubMed Central. Following Scopus, the 3-year *CiteScore* of Pharmaceuticals is 4.9 in 2016. Pharmaceuticals is now ranked #8/168 in the category "Pharmaceuticals Science". LATOXAN is the leading producer of venoms from snakes, scorpions and batrachians with over 300 different venoms worldwide available. LATOXAN also produces and supplies venom toxins, plant, plant small molecules and screening libraries. 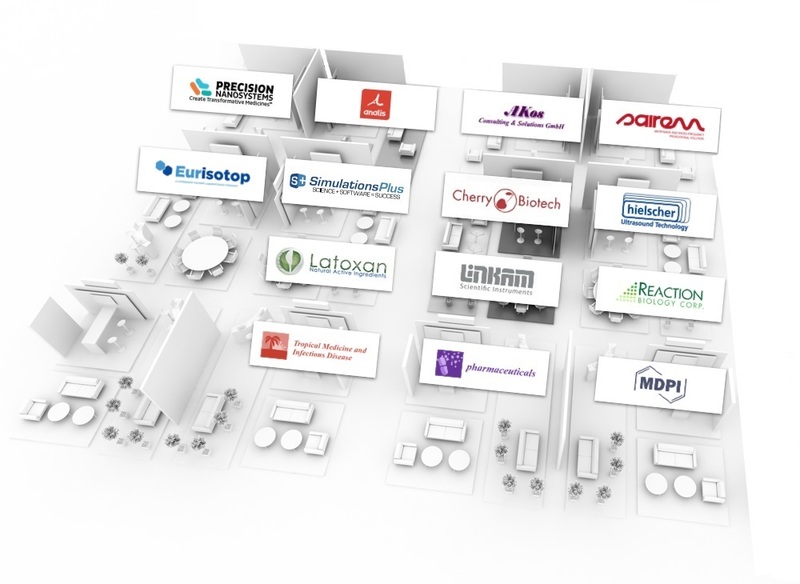 LATOXAN supplies Pharmaceutical Industry, Academic and Pharma Research centres and worldwide distributors of Life Science Reagents.